Rapper Kanye West made major headlines earlier this year after openly endorsing President Donald Trump. Trump took notice and sent West a signed Make America Great Again Hat. During an interview with late night host Jimmy Kimmel Thursday, West explained his decision to publicly support the President and his overall philosophy about free thinking. 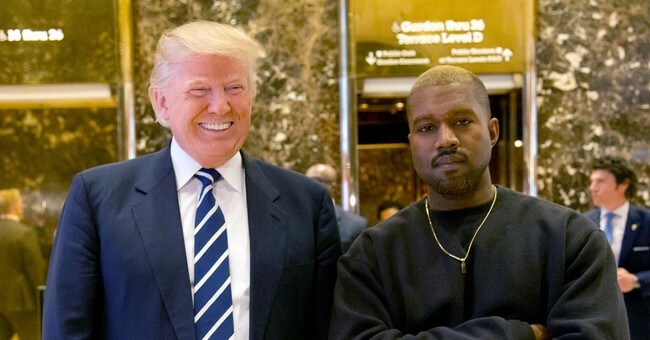 "Just as a musician, African-American, guy out in Hollywood, all these different things, you know, everyone around me tried to pick my candidate for me. And then told me every time I said I liked Trump that I couldn’t say it out loud or my career would be over,” West said. "Liberals can’t bully me, news can’t bully me, the hip-hop community, they can’t bully me. Because at that point, if I’m afraid to be me, I’m no longer Ye. That’s what makes Ye." West's wife, Kim Kardashian West, told Jimmy Kimmel two weeks ago she has nothing negative to say about President Trump after he granted clemency to Alice Marie Johnson. Johnson had been serving a life long sentence for drug crimes when she was released from prison in June.